"When a city invests in its entrepreneurs, entrepreneurs will invest in the city." The opening of Innovation Hall in the Cortex Innovation District represents a new phase for the St. Louis startup community. 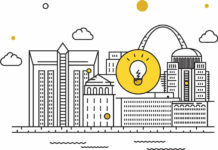 In just ten years, a community of innovators and entrepreneurs has paved the way for the St. Louis tech scene to become a nationally and internationally recognized tech hub. Innovation districts are a marathon, not a sprint. As the Cortex Innovation District continues to broaden our perspectives of what’s possible, we must take a moment to reflect and recognize that this win is part of the community’s vested interest and will to create a vibrant Midwest ecosystem. 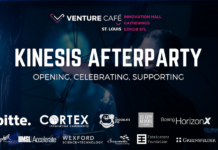 Defined by a civic mission and “no barriers to entry” access, the new Innovation Hall space will only continue to increase the density of talent and accelerate the pace of spontaneous collisions in St. Louis: values that the ecosystem has been founded upon. In that sense, Innovation Hall is the continuation of something bigger than any one person, organization, or partnership. It signifies how St. Louis is coming together to achieve greater success, and emblematic of the founding idea that when key actors come together with a mutually aligned vision, the opportunity becomes endless. When Capital Innovators was established in 2010, there were few resources in St. Louis to support startups and their founders. Judy Sindecuse, the Founder & CEO of Capital Innovators, believed that bringing together the right combination of capital, mentorship, and network could ignite the spark for the St. Louis innovation community — but bringing people together first meant building a shared space. The community identified a need for a common space that would foster serendipity and community, by giving entrepreneurs a space to work together. The Downtown T-REX incubator was established to house the first Capital Innovators cohort, and realize this vision of a shared space for startups. At the time, T-REX was just a few hundred square feet in the Railway Exchange Building, a hundred-year-old high-rise building in downtown St. Louis. At the same time, the word was spreading about a new Innovation District that could bring together capital, science, and technology at a scale that seemed almost unbelievable to people in the city. This area was known as the Cortex District. At the turn of the decade, the Cortex District had formulated plans and a strategy for 200-acre technology district located in the historic Central West End region in St. Louis City. By 2010, the Cortex Innovation District had 35 different companies working out of two locations at the time. In the early days, it was a challenge to find and recruit talent to stay in St. Louis: the city was too fragmented, entrepreneurs struggled to find their feet and build a personal network. The solution came as people — both downtown and in the Central West End — began building a nucleus for entrepreneurial activity. People began to recognize that a vibrant ecosystem could become a reality. The formation of a movement — what we now know as the St. Louis Startup Community — was in full swing. 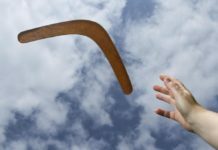 Starting a company is a meaningful, thrilling endeavor full of risk. To take that leap of faith and put everything on the line is incredibly difficult to do on your own. 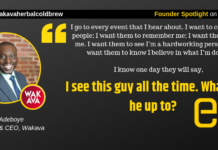 That’s why entrepreneurs strive for communities where co-founders, talent, and like-minded individuals can immerse themselves in the buzz of the surrounding activity, absorb good ideas from fellow founders, and contribute to the sense of shared purpose — and why startup communities, incubators, and accelerators are so important for a growing city. As entrepreneurs increasingly came together in St. Louis city, they were intentionally laying down roots and paving the way for more to follow. Over the last 8 years, companies like Ask.com, Gainsight, Varsity Tutors, LockerDome, Observable Networks, Benson Hill Biosystems, and Label Insight are the some of the better-known success stories to come out of St. Louis. The growth of the local ecosystem is also dependent on the new people entering, navigating, and participating in it. From the onset, St. Louis had the makings of a strong talent pipeline driven by top-tier colleges and universities, Fortune 1000 companies, and a low cost of living. This composition takes years, decades even, to come together – and one of the main reasons why Cambridge Innovation Center originally chose St. Louis as it’s first expansion. Thanks to organizations like Arch Grants and a high density of startup accelerators, St. Louis is bringing in newcomers like Jeff at a faster rate than ever before. In fact, 16% of St. Louis startups report having moved from another U.S. city – a number twice the average for U.S. ecosystems. This is something we’re seeing at Capital Innovators. In our past cohort, we had our most geographically diverse cohort with startups from East Asia, Mexico, and all across the U.S.
“When I came to St. Louis, I was really surprised by the diversity and the friendly environment here. Entrepreneurs are very accessible. When you meet people, they give you their time of day. It’s down to earth.” said Nico Bergengruen, founder of Jubel and a transplant from Mexico City. As we support our entrepreneurs, they give back to the city in ways that we could never have planned or asked for. 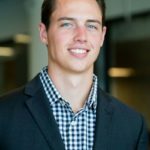 The leadership team of Clever Real Estate, a nationwide real estate tech platform from the Fall 2017 Capital Innovators cohort, includes a pair of 24-year-old entrepreneurs who have personally invested in over 26 apartments and raised hundreds of thousands of dollars to restore properties in St. Louis City. Clever Real Estate grew out of Cortex, moved into a larger office at T-REX, and now employs a full-time sales and development team in downtown St. Louis. “We want everyone on the team at Clever to see beyond the tech, and understand our industry. Real estate is fundamental: it’s where we work and live. We’re empowering the next generation in St. Louis to shape that,” said Luke Babich, CSO for Clever Real Estate. Fast forward eight years later, and you’ll find that Cortex is one of the Midwest’s premier innovation hubs and an anchor for the St. Louis startup community. Among the 1.7 million square feet of new and rehabilitated space, there over 250 companies and 4,200 jobs housed in the Cortex Innovation Community. This includes a new hotel, a $44 Million renovated printing plant, and a new state-of-the-art building at 4220 Duncan Ave. Nearby is the City Foundry, a $187 Million planned adaptive reuse of urban industrial land into creative 21st-century food, commerce, and entertainment concepts. Feeding this development is the growing number of STEM and startup jobs. Of the 92 Capital Innovators portfolio companies, over 70% are based in or have a satellite office in St. Louis. Combined, our companies have generated over 600+ jobs in the St. Louis region. In 2017, St. Louis was ranked the fastest growing city for startup activity among the nation’s Top 40 metro areas in 2017. St. Louis was also ranked in the Top 10 cities with the highest rate of new tech jobs in 2015-2016, outpacing even New York. 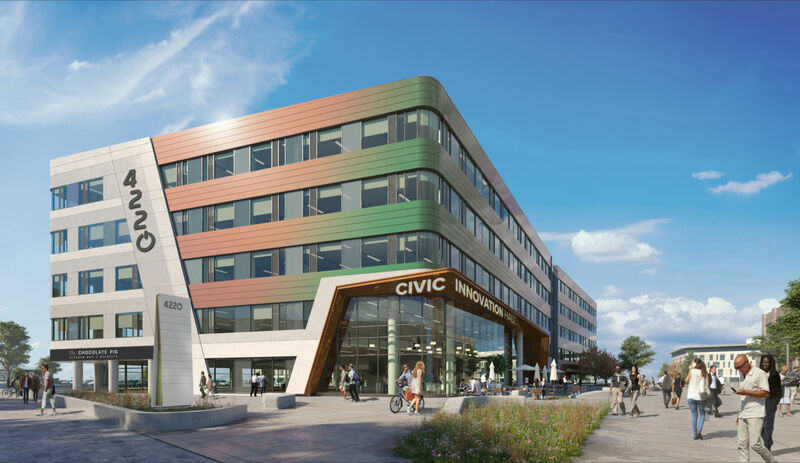 As the first civic innovation center in the Midwest, Innovation Hall is a big step forward in the direction started 15 years prior – a vibrant, diverse community intentionally designed for density. Trevor is the Director of Operations at Capital Innovators, a St. Louis-based accelerator program. Trevor develops and manages the deal pipeline, conducts due diligence, works in the trenches alongside the program's startups, and creates new systems to make the program more efficient.